More than 2,000 guitarists voted in the Color Sweepstakes and the results are in! The new Variax Limited Edition Amethyst guitar features a translucent-purple finish over a flamed-maple veneer top, with a matching headstock overlay, and a Limited Edition insignia and numbered neck plate. 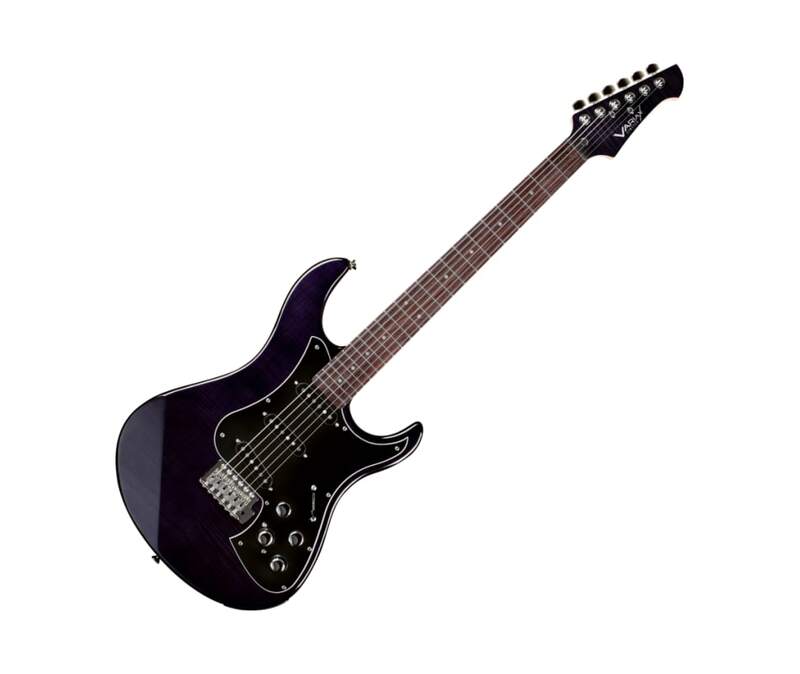 The Variax Limited Edition Amethyst guitar combines Variax HD sound, superb playability, and unmatched versatility with a beautiful custom finish. Variax HD Modeling lets you to choose from a collection of legendary 6- and 12-string electric and acoustic guitars, and more exotic instruments such as resonator, banjo, and sitar - all with realistic sound and feel. You can even access alternate tunings such as Open G, DADGAD, and Drop D - as well as your own custom tunings - with the turn of a knob. The Variax Workbench HD application gives you complete control over every element of your Variax tone, enabling you to assemble the guitar of your dreams. Mix and match a wide range of body styles and pickup models to create your own unique instrument. Variax Workbench HD takes you far beyond whats possible in the physical realm, allowing you to build virtually any guitar imaginable.